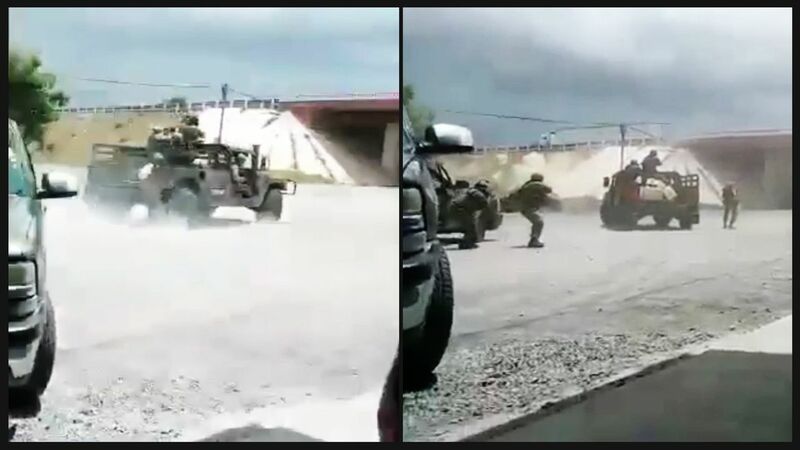 Dramatic video has surfaced on liveleak.com of an intense firefight between a Mexican military unit and Cartel Del Golfo CDG members in Tamaulipas, Mexico. The video starts out with Government troops rolling up to an intersection only to be met with a hellacious firefight. The exchange of fire between Government forces and cartel members could of been a scene from Afghanistan or Iraq, but no it was just south of the United States boarder. The outcome here was a win for the Mexican Government with cartel members destroyed. U.S. citizens have been warned by the United States ‘not to travel to popular Mexican tourist destinations, due to an uptick in drug cartel violence’. The U.S. State Department has issued travel warnings for the areas, following shootings linked to gang turf wars at the popular beach destinations for foreign visitors. Mexico is on track for one of the most violent years since the Mexican Revolution.